Premature male heart disease isn't just a personal tragedy, it costs the economy £5.3 billion a year. Because put simply, coronary heart disease (CHD) is the most common cause of death – and premature death – for men in the UK. Heart disease disproportionately affects men and especially men in the lower income groups. 49,665 men in the UK die each year from coronary heart disease compared to 38,571 women. 20,850 men die prematurely (before 75 years) from heart disease compared to 7,408 women. Men aged 35-64 are about four times more likely than women to die from heart disease. Men in occupations defined as ‘routine’ are almost three times as likely as ‘high managerial and professional’ men to die from heart disease. Men are almost twice as likely as women to develop angina and one-and-a-half times more likely to experience heart failure. Men are twice as likely to have a heart attack. 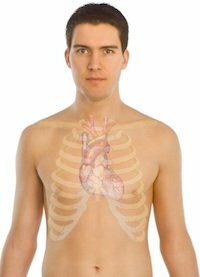 Men are much more likely to receive inpatient treatment for heart disease. Men are more likely to smoke, drink alcohol above recommended levels, and have a poorer diet. Overall, heart disease is estimated to cost the UK economy £9bn a year. Given that men are 60% more likely than women to develop heart disease, the cost to the economy of men with heart disease could be about £5.3bn a year. The direct healthcare costs alone for men are likely to be about £2bn a year. Men’s Health Week 2012 has two main campaign objectives - health promotion and fundraising. Support local and nationwide service providers and voluntary groups with resources and tools to promote better male health. Who we are trying to reach? Males aged 30+, who are fathers from all walks of life. The key message for this group is look after your heart so you can be there for your children. Men aged 16-50, who are sons and who care about their fathers. The key message for this group, and the next, is encourage and support your father to look after his heart so he can be there for you. Men and women 16+ who wish to pay tribute to deceased father. Third sector organisations serving men - there are over 9,000 organisations across United Kingdom with various programmes targeting the male population. National Launch Event in central London to provide a venue for networking for the campaign’s partners and sponsors, as well as to raise funds for MHF’s work. National Men’s Health Week was first held in June 2002 and since then it has grown steadily in size and impact. In the past 10 years, the campaign has provided a focal point for individuals and organisations with an interest in improving men’s health. It is now firmly established as a key part of the public health calendar. Each year the campaign focuses on a different area of men’s health. This year’s campaign will broaden its target audience reach further and launch an annual fundraising appeal. In order to accomplish this expansion successfully, we will use the Father’s Day marketing theme to construct our promotional and marketing messages to the general public.